In the past, travelers to Mexico could use US dollars for transactions, and many tourists didn't even bother to exchange their currency into pesos, paying for goods and services with dollars. With laws that took effect in September 2010, however, restrictions have been placed on the use of US dollars in cash for making purchases, and the amount you may exchange at banks and currency exchange booths is also restricted. There are now limits on how much you can change per day and per month, and you need a passport or other official identification in order to exchange money. These measures were brought into effect to combat money laundering and organized crime; unfortunately, tourists and legitimate businesses have also been affected. It is recommended that all travelers bring Mexican pesos as well as their credit and/or debit cards to minimize any inconvenience the exchange cap at banks may cause." According to the new regulations, casas de cambio (currency exchange booths), banks and hotels may exchange a maximum of $1500 USD in cash per person per month into Mexican pesos. Many financial institutions are limiting this to exchange up to $300 USD in a single transaction. It is also required to present an official identification with photo (preferably a passport) when exchanging dollars for pesos. Businesses may accept a maximum of $100 USD in cash per transaction, with no restriction on the number of transactions per customer. However, many businesses are choosing to not accept US dollars at all. Likewise, many airlines within Mexico will only accept Mexican pesos and credit cards for payment of fees (such as baggage fees). The most convenient way to pay for purchases is to use a credit card or withdraw Mexican pesos from an ATM. It is not advisable to carry large amounts of cash, although in small establishments and some off the beaten path destinations, credit cards are not accepted and ATMs are few and far between. Try to strike a balance and carry enough cash to get you through a couple of days if necessary, but use a credit or debit card to pay for hotels, upscale restaurants, and any major purchases. It is important to note that these new regulations regarding currency exchange do not apply to other foreign currencies such as Euros and Canadian dollars and forms of payment other than cash such as credit cards and traveler's checks, are not affected by these measures, and people carrying other currencies should have no trouble exchanging amounts larger than the equivalent of $300 US per day. Traveler's checks have gone out of favor, however, and can be very complicated to cash nowadays, and the exchange rate for currencies other than US dollars are not widely known, so, while you can exchange currency at exchange booths, using those currencies for purchases is not generally accepted. Pay with a credit card when possible. Take a credit card or debit card for ATM cash withdrawals. 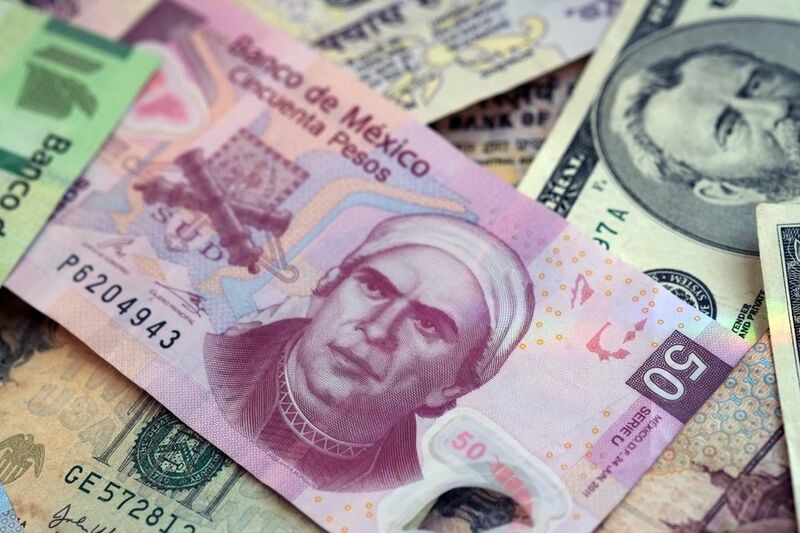 Familiarize yourself with Mexican currency before your trip. Check out more information on Mexican paper money in circulation.